We are proud to team up with Bob Ridings in Decatur to assist them with their Digital Marketing Efforts. Our primary goal is to increase the quality web traffic to their website, creating leads that will convert into sales. Our efforts have led to higher web traffic month over month, trackable conversions and other positive metrics. We have also performed Direct Mail Campaigns and we assist with Content Creation and Strategy. 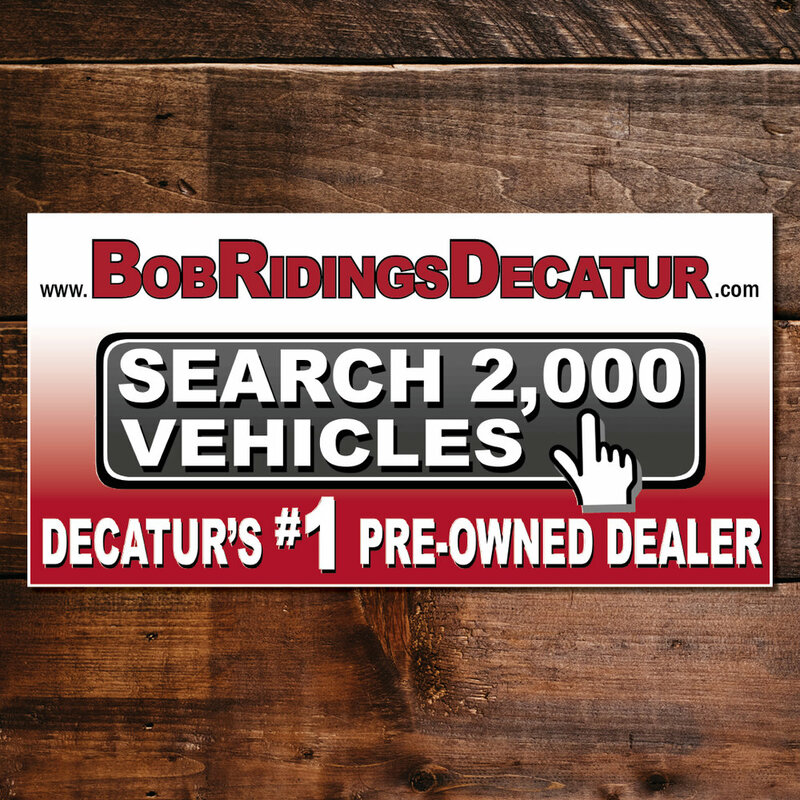 We are proud to be able to partner with them to help Bob Ridings to continue to increase market share and remain Decatur’s #1 Pre-Owned Dealer.